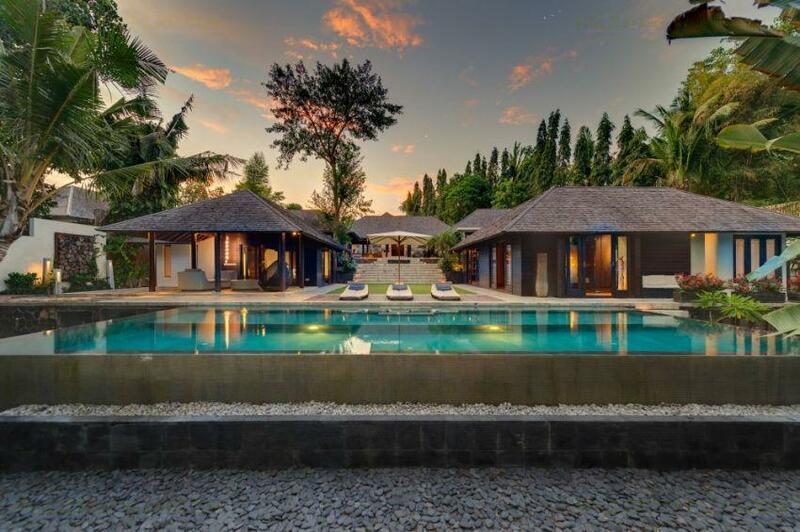 Space, privacy, exceptional service and effortless tropical luxury await guests at this villa. 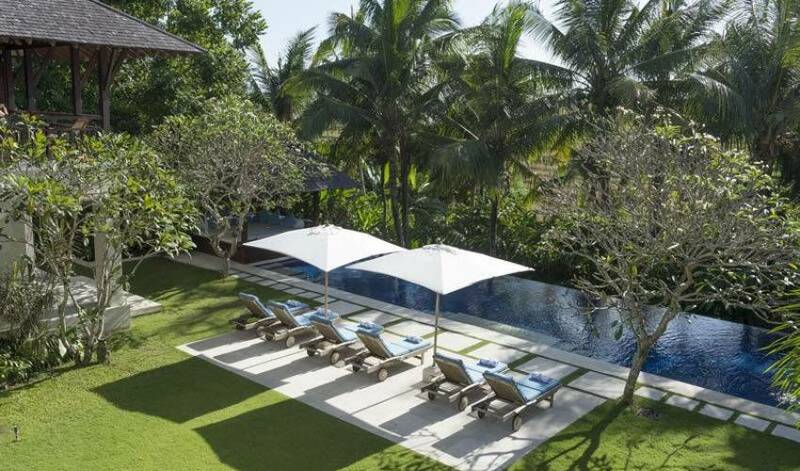 This sublime holiday retreat offers spectacular views over cascading rice-terraces and a small jungle-clad river valley in a peaceful, traditional Balinese village within the sought-after Canggu area. 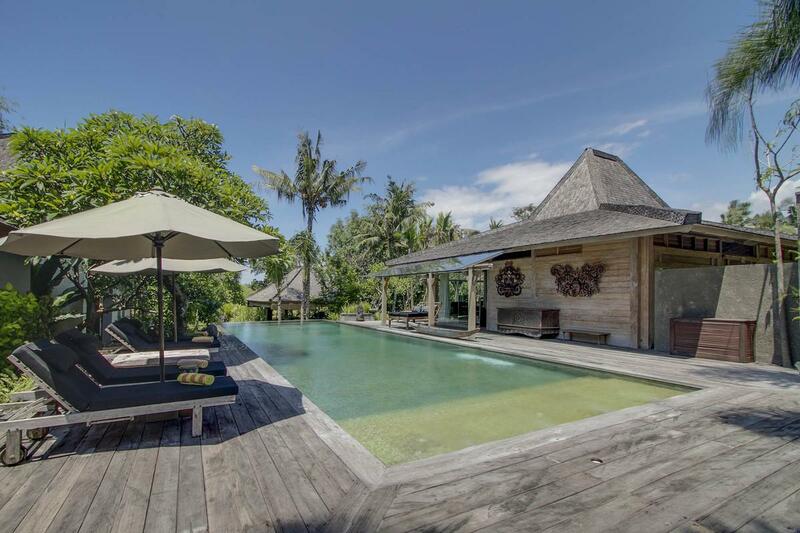 Only minutes drive from world-class surf breaks and some of Bali’s most beautiful black-sand beaches, the villa is the perfect blend of sophisticated elegance and rural charm, served up by a superb staff team including a private chef and personal butlers. 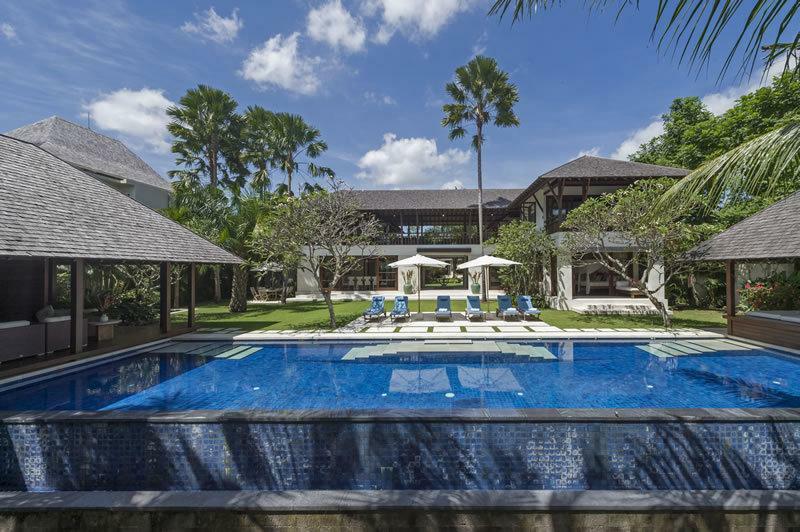 This family-friendly, five-bedroom villa presents contemporary classic architecture, an 18-metre pool, generous tropical gardens and a choice of stylish indoor and outdoor living areas thoughtfully designed for your relaxation and enjoyment. 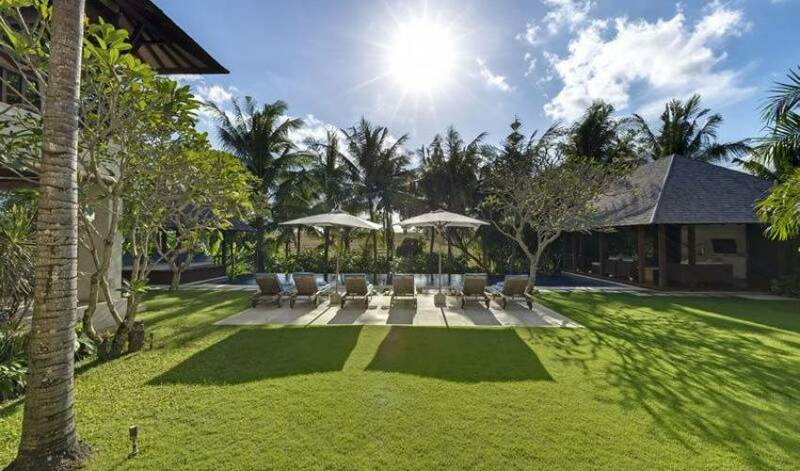 Those seeking a premium villa holiday offering the full Bali experience, but with Seminyak’s big city lights and fine dining choices still within easy reach, need look no further than this villa, where the rural Bali charm of postcards and travel magazines is right on your doorstep – no Photoshopping required. 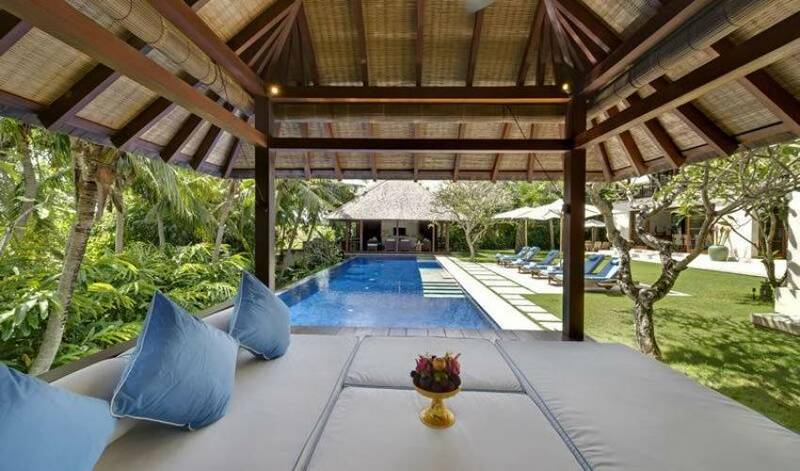 Framed within this picture of riverside and rice-field bliss, the villa is steeped in glorious contempo-classic, hardwood and stone Balinese architecture, furnished with Indonesian antiques, and completed with privacy and very, very good service. With its five bedrooms, 18-metre swimming pool shaded by swaying coconut palms, vast balconies, large garden for the kids to run around in, air-conditioned family room equipped with children’s toys and games, and numerous elegant living areas, the villa provides ample space for large holiday groups – from extended families to clusters of friends – who enjoy good living and the privilege of choice. 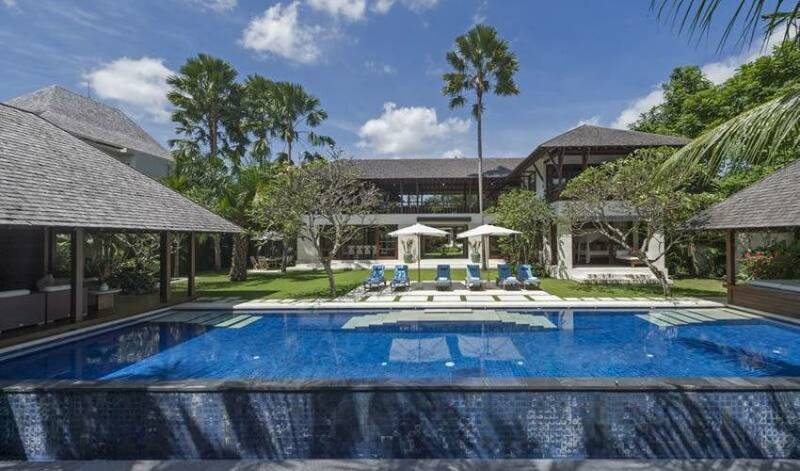 Having one’s own personal butler, chef, car and driver and security personnel may sound like ‘Lifestyles of the Rich and Famous’, but here at the villa it’s simply the lifestyle every guest can expect. 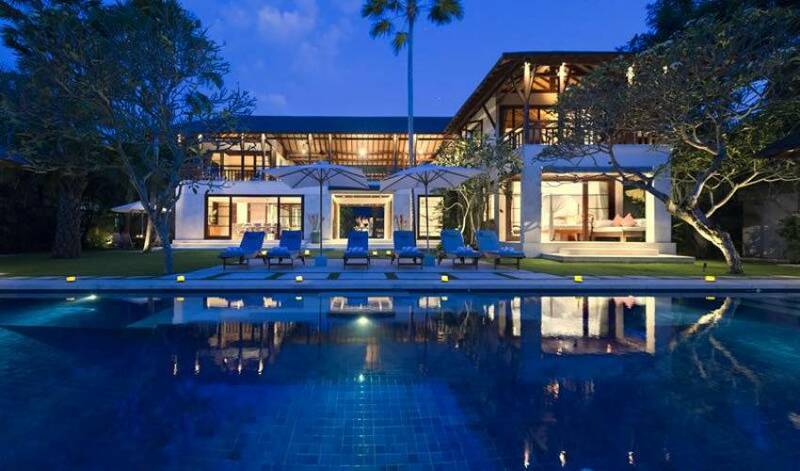 The villa comprises a stately main two-storey residence housing four of the villa’s five bedrooms, the kitchen, guest bathroom and a large, elegant dining room. 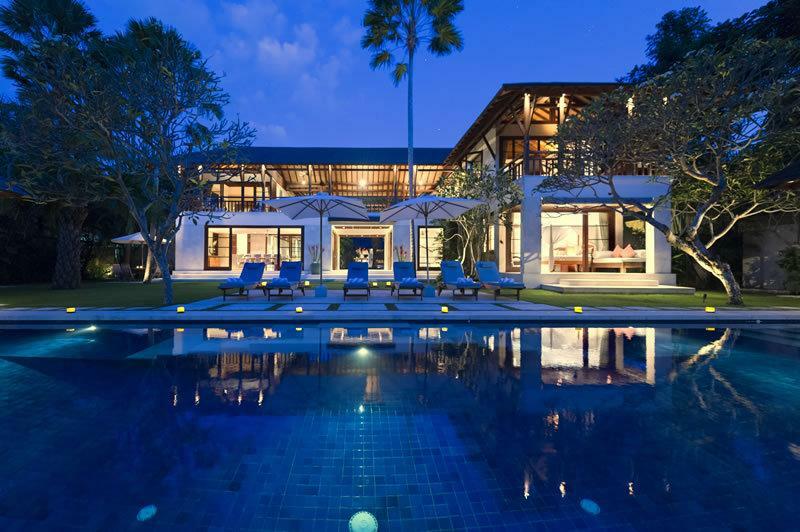 Overlooking the pool is a separate lounge room/living pavilion, with a TV and surround sound stereo system. 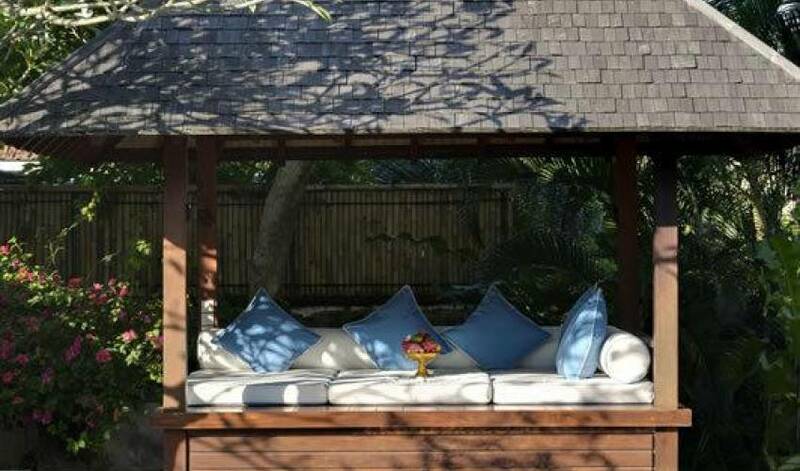 A lovingly furnished and comfortable family room rests to the side of the beautifully manicured lawn, and a self-contained bedroom pavilion – known as the ‘Chinese Room’ sits in a corner and enjoys its own private garden. The bedrooms, dining room and family room are all air-conditioned. 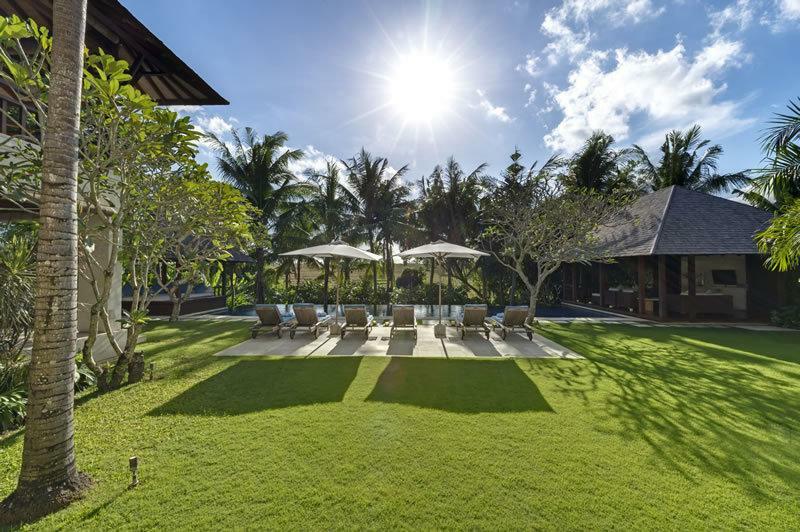 Among the lawns, towering coconut palms and flowering trees and shrubs of the villa’s delightful garden, alongside the inviting 18-metre swimming pool, is a spacious open-sided living pavilion furnished with deeply cushioned rattan couches. The room is equipped with ceiling fans to stir the tropical breezes, a 42-inch flat-screen TV with DVD player and an iPod docking station. 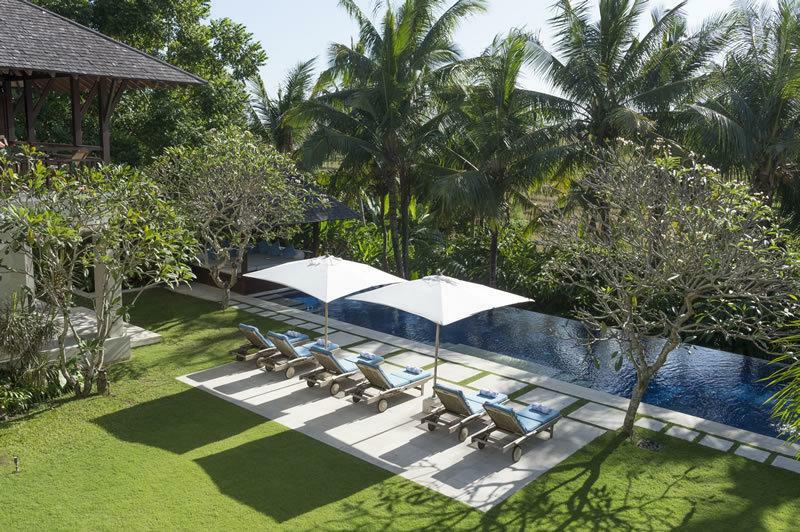 At the opposite end of the pool, a shady balé presents a cushioned corner for rest and relaxation, while six teak loungers are poised for sun worship on a stone terrace that faces the pool, river and rice fields. In a separate pavilion, the family room provides a big, comfortable, overstuffed sofa to curl up on in front of the 47-inch TV or listen to music. This is the perfect place to escape to with a good book, watch some TV or entertain the children in air-conditioned comfort. A specially made children’s-size table and chairs and a toy box filled with a great selection of games and books complete the picture. At the heart of the main house is the bright, elegant and very spacious dining room, which seats up to 12 guests. 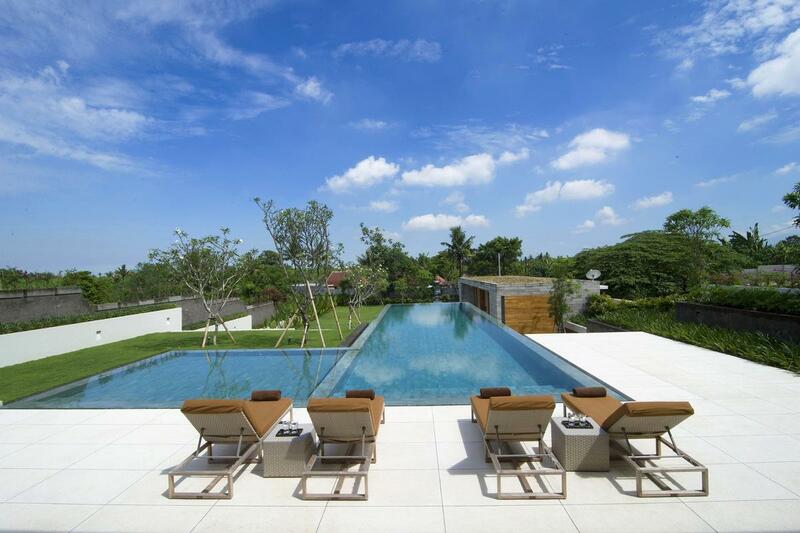 Sliding doors open on three sides to create a semi-alfresco ambiance overlooking the garden and pool. 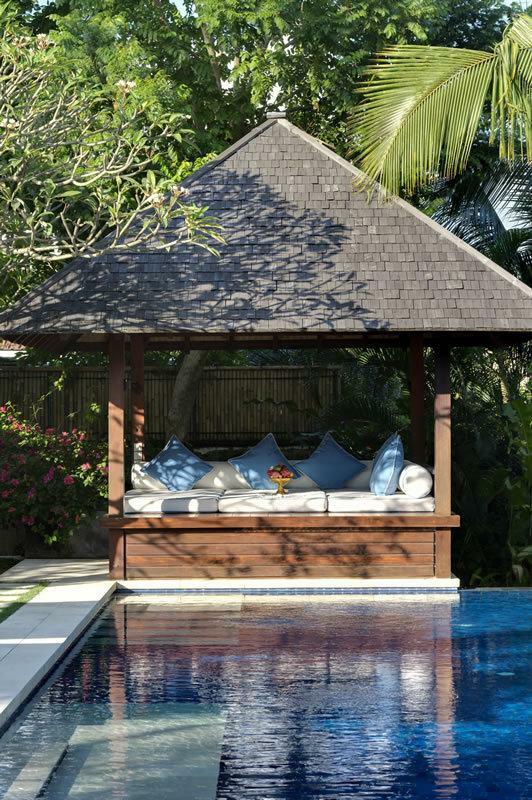 For a tropical outdoor breakfast or poolside lunch, an eight-seater teakwood table shaded by an umbrella, lies just beyond the dining room. Upstairs in the main residence, the master bedroom is furnished with a four-poster king-size bed. Sliding doors open onto a private balcony with beautiful views over the rice terraces and, on a clear day, the mountains. The ensuite garden bathroom is fashioned in cream marble and features an outdoor shower within a pebble-floored terrace for an absolutely private and truly tropical experience. Also situated upstairs in the main residence, the second master bedroom – known as ‘the king room’ presents a rich red theme and features an ornately carved panel behind the king-size bed. This romantic room opens onto a large furnished balcony, where louvre doors can be closed for privacy. The marble ensuite is the only fully indoor bathroom at the villa. Kids will love the two downstairs bedrooms in the main residence, which are mirror images of each other and are colourfully decorated with children in mind. Each is furnished with twin beds plus a daybed to accommodate an extra young guest. Indoor/outdoor ensuites feature a second shower in the garden area, and both bedrooms have raised sheltered terraces furnished with a daybed. 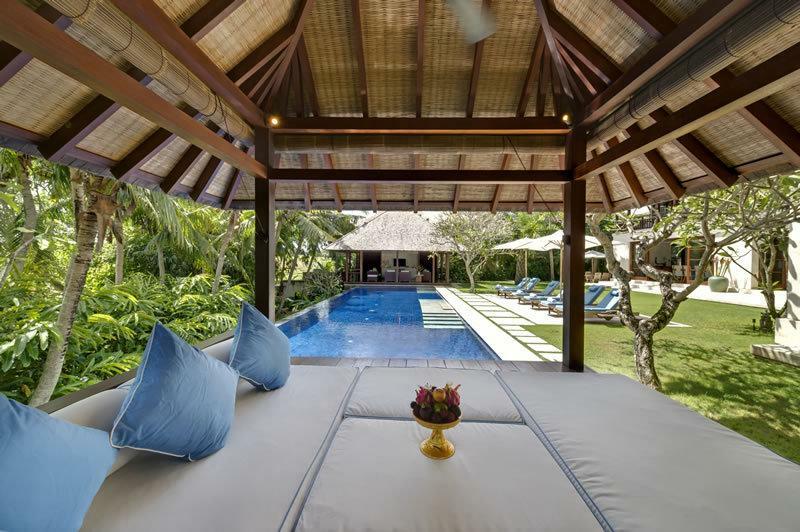 The Chinese-themed fifth bedroom is housed in a stand-alone pavilion with a private furnished terrace. In this graceful room an antique carved screen is mounted on a petrol-blue painted wall above the king-size bed, and a large daybed built into a sunny window seat can accommodate a child. The ensuite marble bathroom features a tub for two with a garden view, and both indoor and outdoor showers. 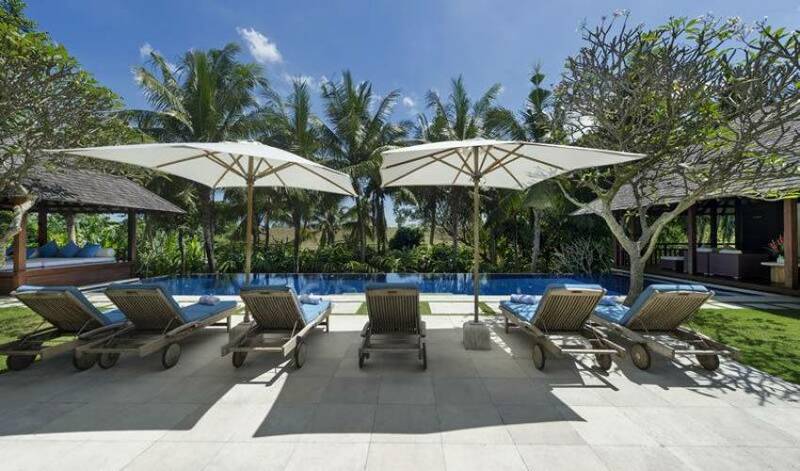 Villa Sabana is hidden away in the traditional village of Pererenan, near Canggu, a quiet out-of-town setting that offers the double attraction of being relatively close to trendy Seminyak and everything that guests might need, while also offering visitors a privileged insight into the traditions of rural Bali. Ducks are herded through the rice fields, the sound of ritual music is carried on the breeze, and religious ceremonies are an integral part of daily life. 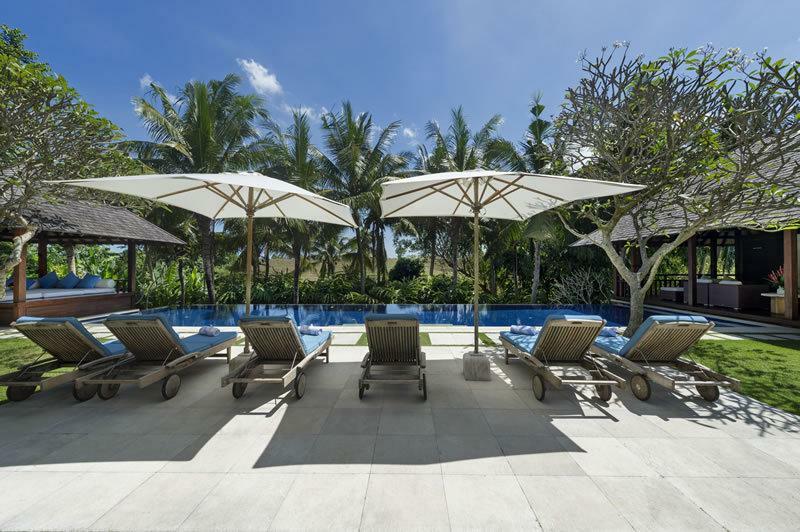 The rugged Canggu Beach (4km) is renowned for its panoramic coastline views, legendary sunsets and world-class surf breaks. For horse lovers, the family-run ‘Kuda’ stables is just 300 metres away from the villa, offering rides and tuition.